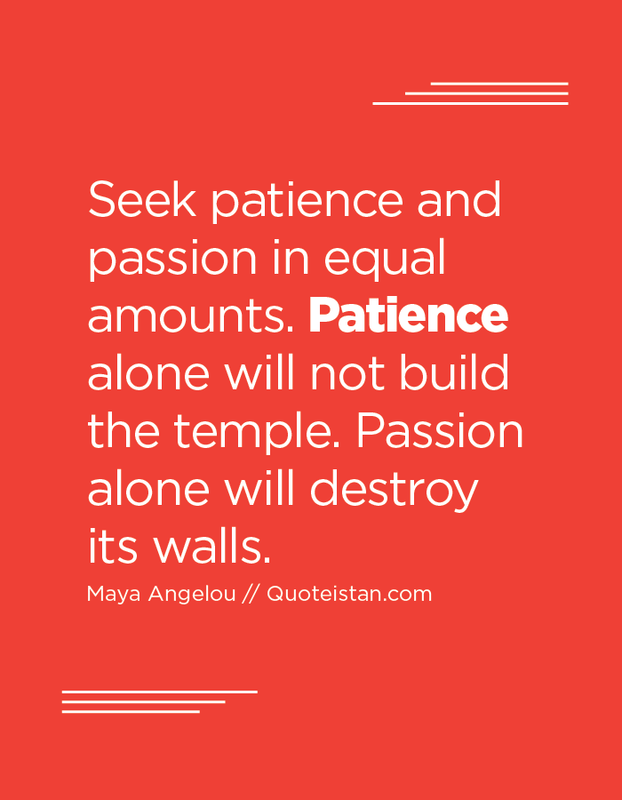 Seek #patience and #passion in equal amounts. Patience alone will not build the temple. Passion alone will destroy its walls.